If you recently yelled Oh no, Mindy Kaling at your phone, it’s probably because you saw a photo of her being hit with an airborne bag of trash. Never fear, though! Mindy Kaling is doing her own stunts for the movie Late Night. But like, she also wrote Late Night, so did she envision a scene for herself that involves flying trash bags? 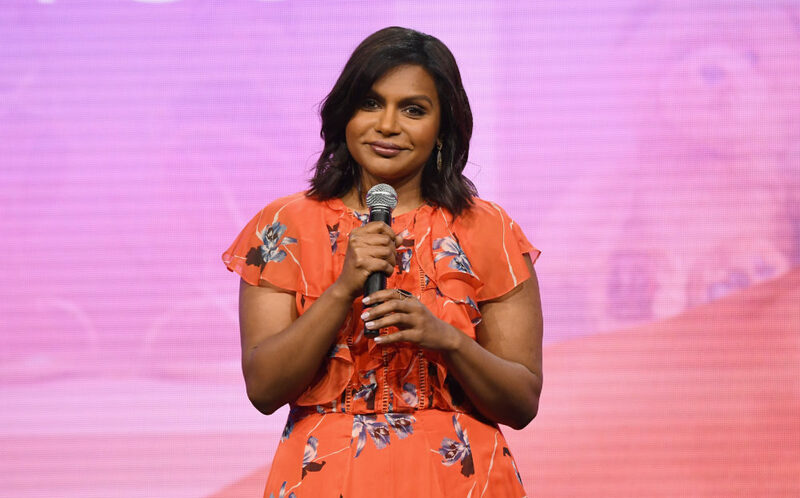 Photos of Mindy Kaling being hit by trash went viral basically as soon as they were posted, because they were pretty LOL-worthy. Kaling herself even posted a collection of moments to Instagram that *really* take you on a trash bag journey with her. And while she added the caption #LateNightMovie, Kaling didn’t mention it was on purpose! Well, not until she tweeted a Daily Mail article that revealed the truth. It was all a stunt for the film Late Night, which she wrote and now co-stars in with the legendary Emma Thompson. In Late Night, Mindy Kaling plays a writer that revitalizes a late night television show when she becomes the first female head writer. Is it your favorite movie yet? Definitely, or extremely much? Good answer. Okay, who taught Mindy Kaling how to do ¯\_(ツ)_/¯ and where can I find them to hug them ASAP? It was only Day 2 of filming Late Night, and already Mindy Kaling is doing bonkers stunts. Sure, some stuntpeople jump off of buildings, or fake fight, or do crazy stuff with swords and motorcycles. But Kaling’s fans know how much time and effort she puts into her amazing looks! Being down with someone throwing a bag of prop trash at her on the street outside of Grand Central Station is commitment. All the snaps to you, Mindy. Late Night just started filming in NYC, so you might be able to catch imaginary BFF Mindy, spiritual guide Emma Thompson, and mega babe Reid Scott (Dan from Veep, who is also in the movie!) walking around the city soon. Just beware of flying trash bags if you do.